Some environments call for a simple way to keep a few charts, maps or checklists at your fingertips. The FB1063 MapStrap is the solution. Constructed of the same high quality materials as the FlyBoys Kneeboard, the MapStrap is built to last in any high demand, heavy-workload environment. 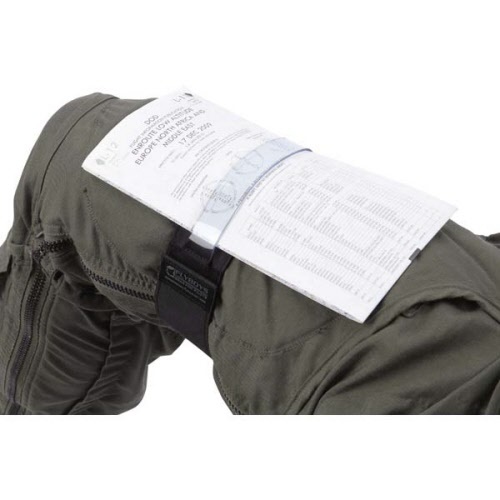 It is adjustable to fit just about anyone and features a see through strap with a healthy portion of hook and loop to keep paperwork secure. The leading and trailing edges of the lower strap feature no slip PVC material to help keep the strap secure on your leg.